We had a good harvest of homegrown heirloom tomatoes this year. I prepared a batch of Andhra style tomato pickle, instant Andhra tomato pickle and sun dried tomato pickle which should hopefully last us a few weeks. With abundant tomatoes at home, I tend to make a variety of chutneys to go with idli, dosa, chapathi and rice. 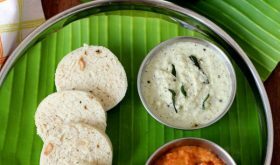 I am very fond of a Tamil style thakkali chutney that makes for a delectable side with both dosa and idli. 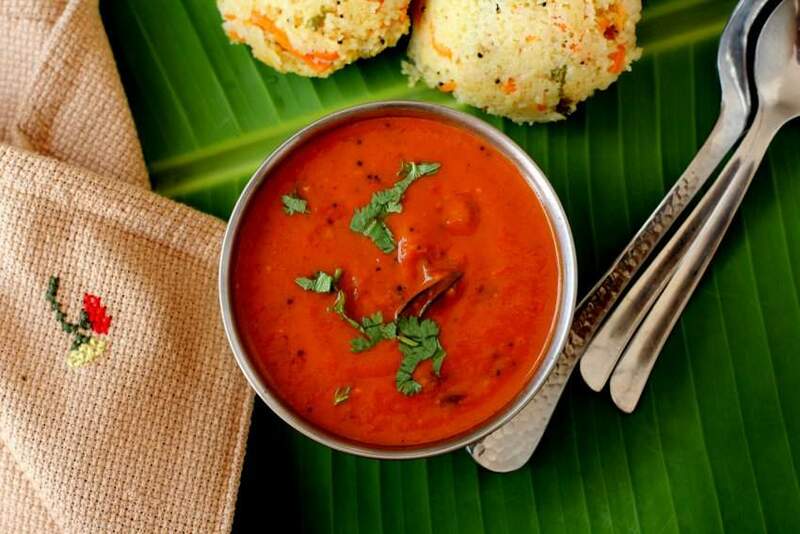 Thakkali chutney is redolent with tomato goodness. This vegan chutney allows tomatoes to shine by embracing their flavour as we are not using onions to lend it body. 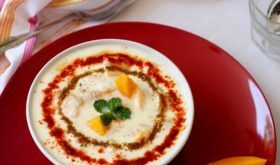 It is so delicious with a subtle tang, moderate spice and a slight hint of sweetness. There’s always a joy in cooking and relishing homegrown produce like heirloom tomatoes minutes after they have been plucked off the plant. I have used heirloom or desi variety of tomatoes to make thakkali chutney. If the tomatoes are too tart, you can balance out the tanginess of the tomatoes by adding jaggery or sugar. Of course, red chillies bring in the required heat and when cooked through, all the flavours work together perfectly. 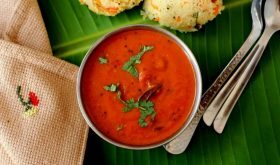 The versatility of tomato chutney is that once you have a base recipe, they are endless variations to experiment. No hard and fast rules to follow. 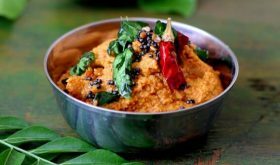 There are two key steps to follow to make this thakkali chutney recipe a super hit. 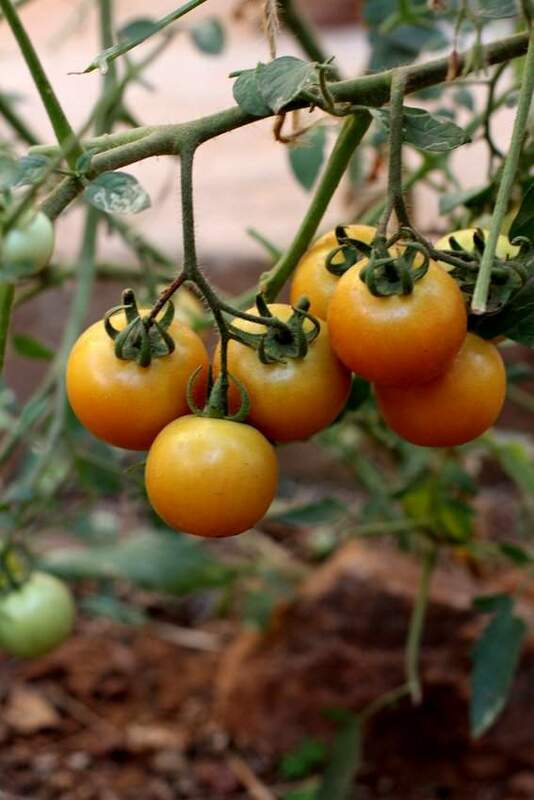 The first is using the right variety of tomatoes i.e heirloom or desi tomatoes. The second step is to slow cook them to a mushy texture to get the true taste of tomatoes. I’d suggest you chop the tomato pieces lengthwise roughly the same size to ensure even cooking. It is worth your time to chop them evenly and cooking them to a mushy texture before grinding the cooked mixture to a paste. 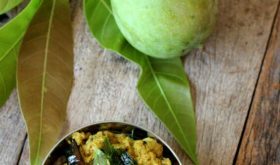 This chutney calls for the use of garlic and cumin which add depth to the overall flavour. Crush the garlic and saute it along with the tempering of spices before adding the tomatoes. You can add fresh grated coconut to lend body to the chutney as well as cut down on the tartness of the tomatoes. If you do not have fresh coconut on hand, it is perfectly fine to omit it. 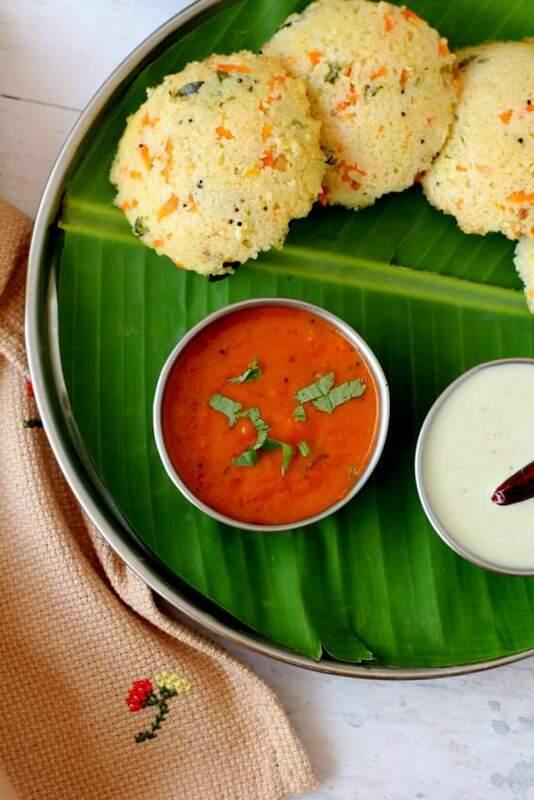 This version of south indian thakkali chutney makes for a wonderful side with idli, dosa and chapathi. A vibrant coloured, zesty tomato chutney that will surely win you over. Without a doubt, this will be your go-to tomato chutney among the myriad indian chutney varieties. Heat a tbsp of oil in a heavy bottomed vessel. Add cumin seeds and allow to splutter. Add crushed garlic cloves and red chillies and saute for at least 10-15 seconds on low flame. Add the chopped tomatoes, jaggery and salt. Cook on high flame for 5 minutes. Reduce flame to low, place lid and cook till the tomatoes appear slightly mashed. Remove lid and cook till the water has almost evaporated. Turn off heat and cool. Grind the cooked tomato mixture and fresh coconut to a paste and set aside. Heat a tbsp of oil in the heavy bottomed vessel, add the mustard seeds and allow to splutter. Add curry leaves and saute for a few seconds. Immediately add the ground tomato paste and 1/2 cup of water. Simmer on low flame for 7-8 minutes. Turn off heat. 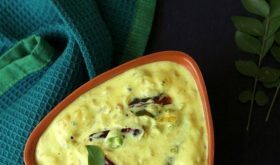 Remove the thakkali chutney to a serving bowl. 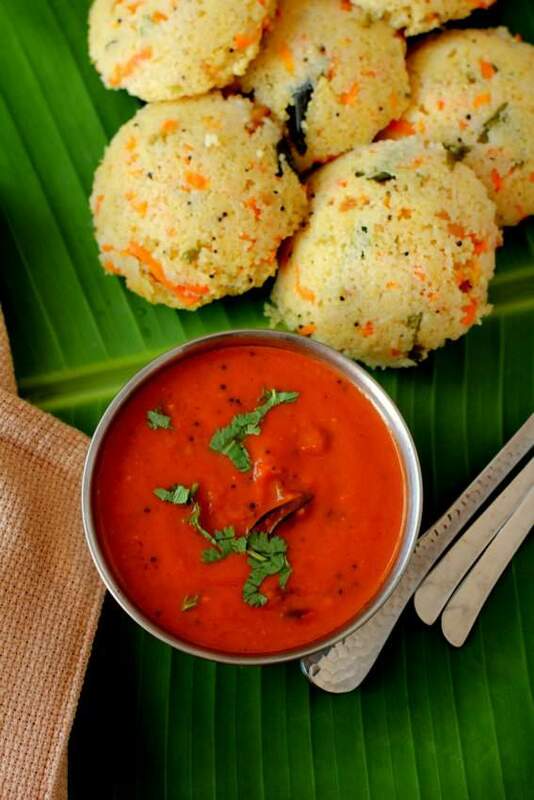 Garnish with fresh coriander leaves and serve with idli, dosa or chapathi. Use heirloom tomatoes or desi variety of tomatoes. Hi ,And such a great design of your website. Grand Salute from me….